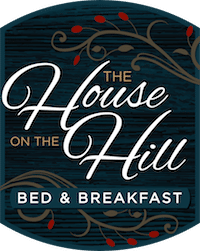 Welcome to The House on the Hill Bed and Breakfast! Northern Michigan’s premier all inclusive Bed and Breakfast overlooks the beautiful Chain of Lakes, which starts in the Jordan River valley and flows over 75 miles into Lake Michigan. Our 1896 French Country Farm House is nestled in between the many charming resort towns and harbors of Northwest Michigan. Our property offers you paddle boards, kayaks, a paddle boat and a canoe. You also have access to our 53 acres of private land with trails. Whether you are here to enjoy our sparkling blue lakes, golf, ski or just relax, we have a warm welcome waiting for you! Northwest Michigan is a vacationer’s haven that truly has something for everyone. You’ll find bike trail systems and off road biking trails that take you along the coast of Lake Michigan or deep into hilly woods. The area boasts myriad nature preserves with scenic hiking experiences no matter your level. Northwest Michigan is famous for its wineries with amazing vintages and views, as well as its craft breweries and distilleries. Golf courses are abundant with some of the most beautiful courses in the States. If shopping is your thing, you’ll discover boutique and antique shops in every town. If you are a foodie, you will delight in the many area farm markets and farm to table restaurants headed by famous chefs. While summer has the most festivals, you will find something going on any time of the year in any of our neighboring resort towns. From our spacious rooms with amazing views to the Guest Center stocked with snacks, hot and cold beverages available to you all day long, the comfort of our guests is of foremost importance. The House on the Hill Bed and Breakfast is situated in a beautiful rural setting that gets you away from it all, yet is so close to all the activities you want to enjoy. Kick back on our beautiful porch, enjoy our three course gourmet breakfast, and relax!